The Association of Friends of the Road to Santiago of Astorga and its Region was born 15 years ago with the firm purpose of aiding pilgrims on the Road to Santiago with their passage through the city of Astorga. Throughout the years, the Association of Friends of the Road to Santiago of Astorga and its Region has carried out important work in improving and placing signposts along the Road to Santiago, in addition to the service our lodge in Astorga offers to pilgrims that arrive to the city. Astorga is one of the Road to Santiago’s greatest cities of reference. It was with good reason that Astorga was the second city with the highest number of lodges for pilgrims along the Road to Santiago during the Middle Ages. Road to Santiago; today, one might say that it’s a mandatory visiting point for all pilgrims who undertake the Road to Santiago, in light of the fact that the city of Astorga is a fundamental reference along the Road to Santiago. In our lodge in Astorga, the Association of Friends of the Road to Santiago will attend in the best way possible to all pilgrims that, either on foot or by bicycle, are completing the Road to Santiago, Road to the Stars. 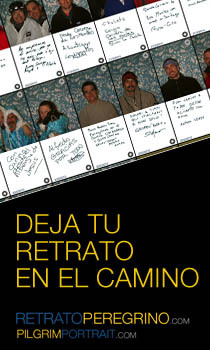 Our association was founded in the year 1989, created by a group of Road to Santiago enthusiasts. At that time, no one thought that the revitalization of the Road to Santiago would turn into what it is today. humanist, European and universal spirit of the Jacobean culture, and passion for the Road to Santiago, is maintained by the Association’s current members and its committee. We continue working so that Astorga and its role in the Road to Santiago doesn’t lose the importance it had during medieval times, offering as a minimum the same hospitality offered to pilgrims on the Road to Santiago during that epoch. For the Road to Santiago, Astorga has special meaning as it is the end of the Vía de La Plata at the crossroads with the French Road. 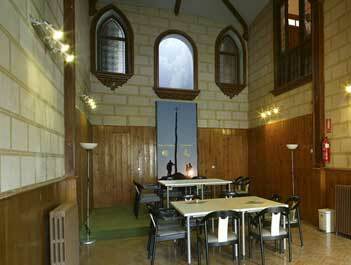 As such, we put forth even more effort, given the importance that this Roads of Pilgrimage crossroads has for Astorga.